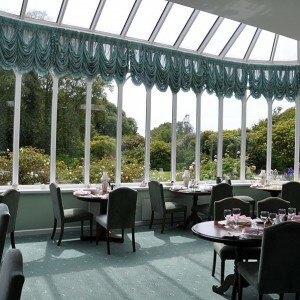 Cashel House Hotel, formerly one of Connemara’s most gracious mid-19th century country houses was opened as an hotel by skilled hoteliers, Dermot and Kay McEvilly in 1968. 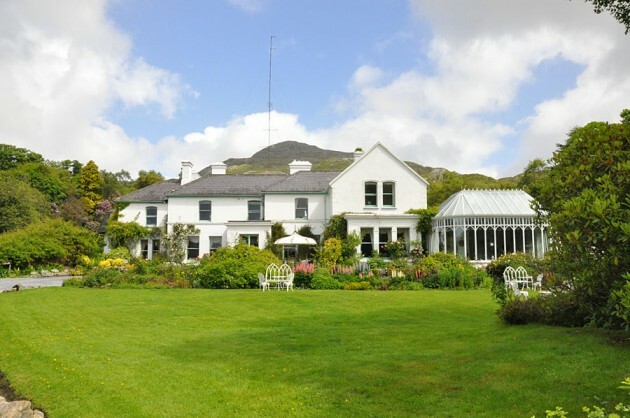 Cashel House Hotel is a luxury 4 star hotel which stands at the head of Cashel Bay, in the heart of Connemara on the West coast of Ireland and is set in a 50 acre award winning garden of flowering shrubs and woodland walks. 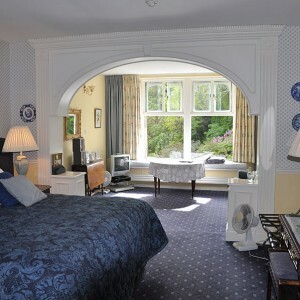 Luxury and tranquility are offered to discerning guests in an atmosphere created by turf and log fires and a friendly and helpful staff and by tastefully decorated rooms with full central heating. In 1969 the late General and Madame De Gaulle spent two weeks of their Irish holiday there. Beaches, golf, salmon and sea-trout fishing and Horse Riding are available in the vicinity. The hotel has its own hard tennis court, tiny private beach. The gardens, withdrawn and quietly secluded are a delight with their enchanting cultivations of exotic and exquisite flowering shrubs – many imported from Tibet – including rhododendrons, azaleas, camellias and the rare beautiful magnolias. Our guests may walk along the seashore, through woods and streams and eventually onto the summit of Cashel Hill. Suitable for longer restful stays. We also cater for private weddings and small conferences with full use of hotel facilities – in the off season. South off N59 (Galway – Clifden Road). 1 mile west of Recess, turn left.